Which are the best airline seats? It depends on what is more important to you. It depends on what you need to feel comfortable and if you are travelling alone or not. The best ones are those which will allow you a more comfortable flight. If you want to feel free to stand up whenever you want without having to wake up someone who may be seated aside, choose aisle accommodation instead of window ones. In this case, be prepared to stand up as many times as your fellow passenger aside may need or desire to stand up. If children do not disturb you, try to book bulkhead seats, as these ones have larger space ahead having only the Galley wall ahead. Pay attention because these places are usually booked for families with small children, and if you have a long haul flight and want to sleep, you may be bothered by childrens crying all over the time. Even if you have extra space as there is only the Gally wall in front of you, remember that during take off and landing you cannot store anything on the floor, and that you can not strecth your legs completely. 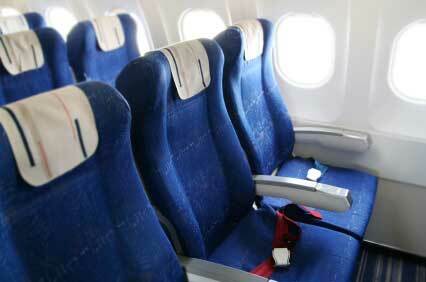 Click here if you are travelling on cheap airline seats. Some airlines are asking an extra charge for these places with more space ahead, check it with yours while booking. Exit rows do have a larger space in front of you, but you cannot hold any belongings during take off and landing and your table and monitor will come from the seat armrest. Often all best airline seats choices are already booked when you check in at the airport, so it is better to book them through phone or Internet (when available) a couple of weeks before your flight date. Consider that even booking in advance, something like a system automatic rearrangement or a change of plane model may annulate your efforts. Most of the times your booking will be kept, but sometimes it will not and there is nothing to do than to accept it. Click here to check the airline seating charts. The engines noise is much stronger on the back of the plane. The first lines are the smoother ones, and the same happens for air quality, that is better in the front part of the plane. 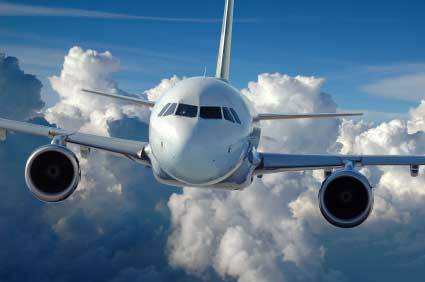 The front part of the aircraft is also less prone to the temperature variations that often happen further back in the cabin. The exit rows offer extra space, but it happens that passengers from tight locations find it is a good place to chat and stretch their legs and so you may find yourself trying to read or sleep in a busy space. Pay attention to those rows where you have extra space for your legs because it may become the corridor people use to pass from one side to another to go to bathrooms as a cross-over passage. While other locations may have pros and against, everybody agrees that it is better to avoid sitting close to the bathrooms. Unpleasant odours and toilet flush noise would be enough, but add the light each time a person opens and closes the bathroom door. Other than these points, you may have the queue right in front or close to you. The places close to Galley areas are better than the bathrooms, but far from the ideal, as you may have continuous traffic of cabin staff and passengers all through the flight, other than noise caused by preparation and clearance of meals that may happen while you're trying to rest. Now I hope you have a better idea of the best airline seats. I hope you can book and get the one you believe is the best for you, but in the case it doesn't happen, remember that a flight passes quickly and you will soon be booking the next trip.